This post was originally published on Wistia’s blog. There are many things you need to make a DIY music video on a budget, besides creative friends with camera gear. Producing your own music video takes creativity, a willingness to get scrappy, and above all else, ideas that are centered around attainable goals. So, if you’re a musician looking to promote your hot new jam with a music video, or a video producer looking to try your hand at something new, I’d love to share four creative directions I’ve taken with my own music videos. I’ll cover some pros and cons for each type of video, and offer some tips for how to make your next DIY music video TRL quality. If you haven’t explored NPR’s Tiny Desk Concert video series, I’d highly recommend checking it out. What I love most about stripped-down live performance videos is that they’re relatively simple to shoot. They require a minimal audio setup, and they leave you with an authentic, intimate version of the song you’re promoting. What’s not to like? Although we cut to a lot of different camera angles in this video, it was actually shot by one videographer (my wife Sasha) on multiple takes. I knew I wanted this performance to have some B-roll, but I didn’t have access to multiple shooters. With some strategic thinking and some patience, we figured out a plan of action. To start, my band and I performed the song a few times, while Sasha focused solely on me singing and playing guitar. Lip-synced lead vocals and guitar strumming hardly ever look natural (trust me), so it’s best to use footage from the take of the performance that you end up using for the audio. Once the band got the performance we liked, we offloaded the audio track from our H4n Handy Recorder and played it loudly through speakers. We then lip-synced and played along a bunch of times, so that Sasha could focus on getting some of the artsier B-roll shots (hands and feet tapping, close-up shots of instruments, and so on). See if you can find the shots that were from the actual performance take we used for the audio, and which ones are sneaky lip-synced fakes. Not every song will work for this direction, especially if you don’t have a folky band like me, but get creative! People love to hear acoustic versions of their favorite songs. A lot of people are embracing one-shot music videos, and some of them are absolutely incredible. What I love most about this direction is that the actual video production can be fairly low-key. The music video is nearly finished the second you get a good take of the performance. One-shot videos almost always rely on capturing some sort of compelling concept. It’s not about the gear you have, it’s about the concept and the performer’s execution of it. At Wistia, we shoot tons of talking-head videos in front of seamless paper backgrounds. Not only is it a minimal setup, but it was one that I had available to me (pro tip: always find creative ways to use what’s available to you). As I re-watched Woody Allen’s “Annie Hall” one evening for the umteenth time, I had the idea of paying homage to the monologue in the opening scene. Check out that homage video HERE. Once we tracked down the costume and Chris Lavigne (Wistia’s video producer and my friend) mimicked the lighting treatment, we were prepared to shoot. The hardest part of pulling off this music video was nailing the performance. In this case, I had to memorize and recite the monologue while slipping in lyrics from my song, in time. Another colleague of ours did a little post-production work to mimic the color treatment, grain, and text… and voila! Video done. Don’t overlook one-shot videos. They’re a smaller favor to ask of your video-savvy friend. They’re also a wise approach if you or a band mate are going take a stab at filming yourselves. I came of age in the 90’s. “November Rain,” “Mary Jane’s Last Dance“… yeah, those 90’s. No amount of veteran indie musician status or real-world understanding of the phrase “over budget” will diminish my love for the plot-driven music video. However, when you’re producing your own music video, this direction can be very tricky to pull off. Click HERE to watch one of our storyline videos (for the song “Young and Free”). Choosing the “storyline” path often comes with a lot of extra work. Not only will there be ample pre-production involved to solidify your idea, but most storyline videos come with an array of logistical complications. For the two-day shoot we planned for “Young and Free,” we had to lock down multiple locations, try our hand at set design, track down a bunch of board games, cast and schedule actors, worry about directing, continuity, and of course… create and execute on an extremely long and thorough shot list. The storyline approach was also a much bigger ask for the video producer I was working with (you guessed it—Wistia’s own Chris Lavigne). Chris was down to help make my video happen, but he had to commit to a lot more time for shooting and editing when we chose this route. Do you have someone on board for that? Can you afford to pay someone? Storyline videos are awesome if you have the idea, the budget, the time, and the pool of talent needed to pull them off. If done right, they can elevate your song and brand to a higher level. That being said, from my experience, a storyline video that misses the mark seems to fail a lot harder than the other approaches I’ve taken. Let’s call a spade a spade. None of my music videos would have been possible without my network. So my absolute, biggest piece of advice would be to build your network! Music videos are awesome projects for aspiring film-makers and videographers. Look to nearby universities for starters. Find people that are actually interested in making a music video with you, and be willing to approach this project as a collaboration. And for all you video folks reading this post—go find yourself a local artist who needs a music video! Head to an open mic or a local acoustic coffee house. Who knows? Maybe the artist will repay you with some background music for some of your upcoming video projects :). 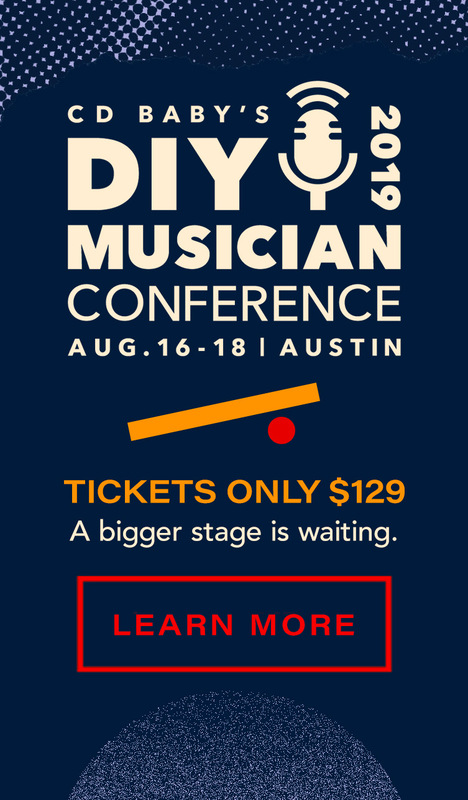 The 2016 DIY Musician Conference — $99 for all 3 days!